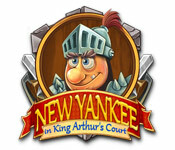 New Yankee in King Arthur's Court is rated 3.9 out of 5 by 73. Rated 5 out of 5 by khendrick1 from Hilarious! I played the Christmas version years ago when it was on sale and loved it. I can't believe I waited so long to play this one. Very funny. The story and dialogue are well written. The challenge level is perfect. Not impossible to get gold levels like in some games but some levels are definitely hard enough to have to play more than once. I loved this one so much that now I am done I am downloading the next one. Rated 5 out of 5 by Bumbles2 from Wonderfully addictive and funny !!! Great game with a good sense of humor !!! I really enjoyed this game from start to finish. When I took a wee break from the pc, I couldn't wait to get back to see what happens in the next scene. So needless to say after playing this one I instantly bought the next one in the series The music is fitting for the era and the graphics are superb...beautifully done !!! 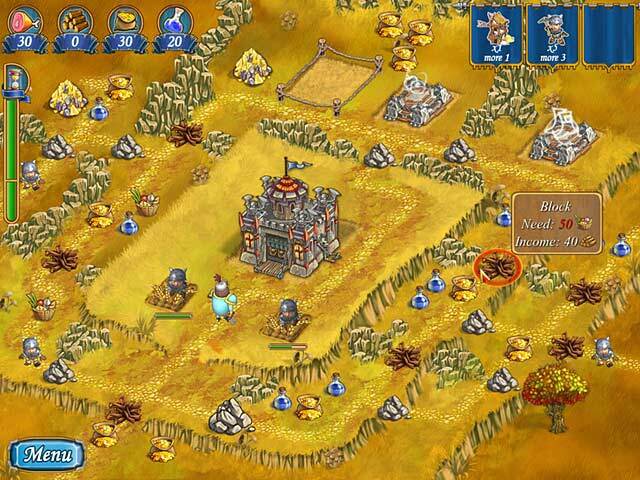 For each level you're given a to-do list...gathering materials such as food.. wood...gold...stone...mana etc...during the levels you will have to fight off skelly's (skeletons), goblins and various other nasty little critters who want to prevent you from achieving your goal !!! You are also asked to build certain things or gather something or other to complete your goal objectives. I absolutely loved this game...in its own peculiar way (funny & hilarious)...it kept my interest the whole time I played. I'm sure if you choose to buy this game you won't be disappointed with that decision....Enjoy everyone and have fun while you're at it. Rated 5 out of 5 by pik62 from Fun game Love the New Yankee games. Looking forward to more of them. Rated 5 out of 5 by bktote1 from Love this game! 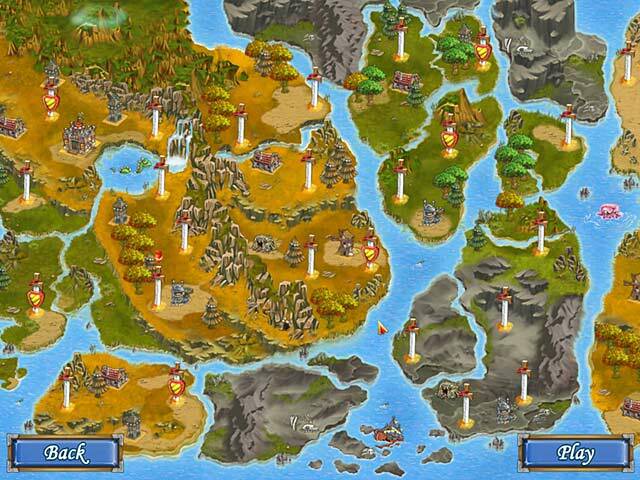 I wish there were more games like this for my Apple products! I have played it from beginning to end over and over again! Love it!!!!!! 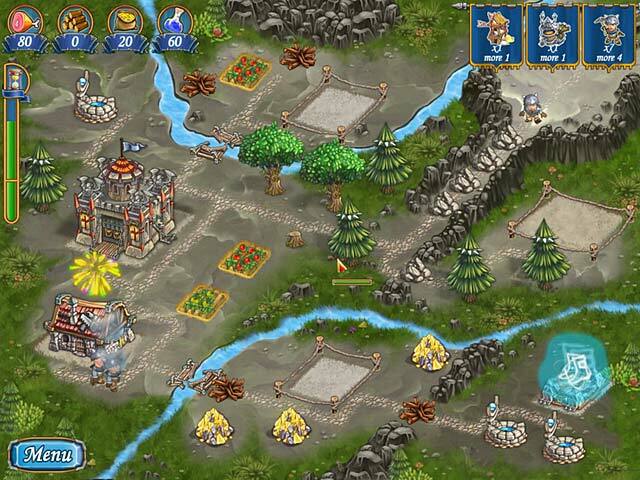 Rated 5 out of 5 by PhoenixRising702 from Fun Game.... I enjoyed this game. It was fun, entertaining and it gave me something to do during my "wind down time" after a busy day. Didn't think I would really like it, but I was mildly surprised! I will be purchasing both one and two. Thanks Big Fish for always supplying something fresh and new! Rated 5 out of 5 by Opalshards from Loved this game I loved this game, but it was far too short. I have replayed it often. When a bolt of lightning sends you back to the days of King Arthur, you trade in your farmer's hat for a suit of armor and set off on a journey to find the Fountain of Youth!